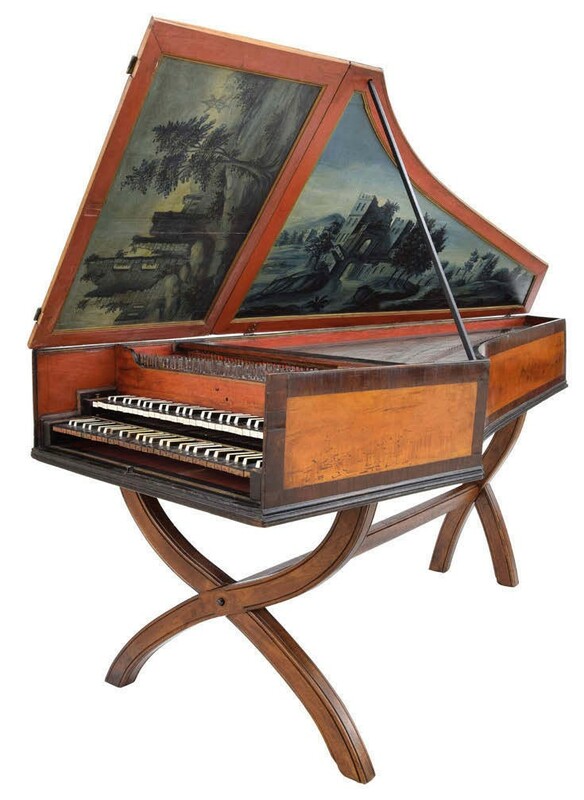 Paris 1747 harpsichord – £38,000 at Gardiner Houlgate. The 7ft 8in (2.33m) long instrument cased in pearwood and mahogany featured panels variously painted en grisaille with ruined castles, and sprays of flowers. The soundboard had been later gilded, pierced and carved with a naked female holding an hourglass. It was formerly in the collection of noted enthusiast Michael Thomas, author of Clavicins et Clavichordes and recorded in Donald Boalch’s Makers of the Harpsichord and Clavichord 1440-1840. As such it appealed to the wealthy collectors of harpsichords – back in niche fashion among early music aficionados – who dominate the market. Auctioneer Jamie South pitched it at £25,000-30,000 and it sold at the March 15 sale to a London collector at £38,000.